Before tinkering with the Geogebra features, study the image and speculate on what each of the sliders represents. Adjust each slider to see if you speculated correctly. 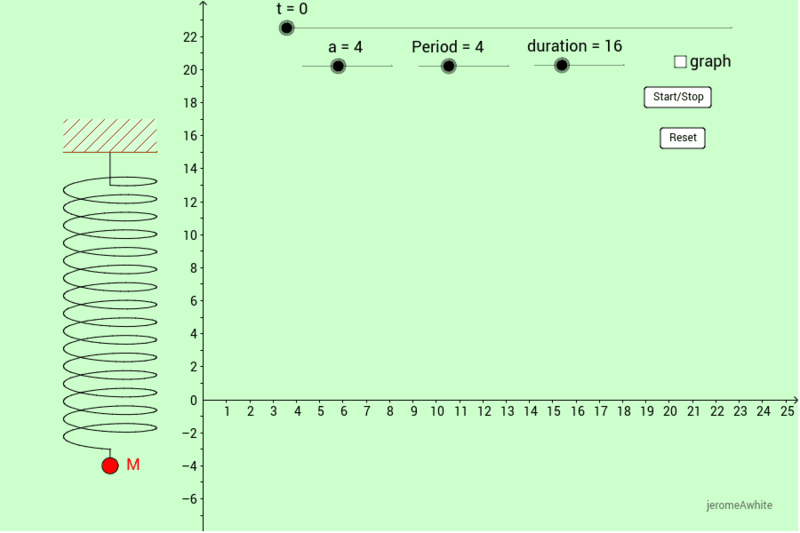 Click the Start button and envision what the graph would look like for the vertical position of mass M as a function of time. Click on the "graph" toggle and compare to what you expected.